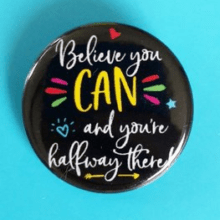 On this bright and early Tuesday morning of January 15th, I’m loving finding this Believe You Can And You Are Halfway There Pin Badge – talk about having your goal setting made visible! From my March 18, 2018, daily blog post. 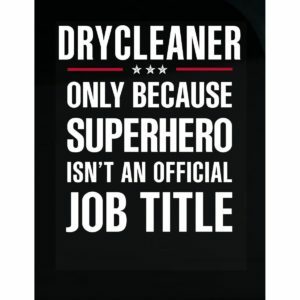 Our superhero capes have to have time at the dry cleaners! Two weeks ago today was January 1st. It is time to get serious about implementing and taking the baby steps for the new year. I’m speaking to myself regarding turning on serious focus with a series of goal setting items I have for 2019. The “thinking about it” and “getting ready” now makes way for intentional focus time blocking on my daily calendar. I’m reminding myself that finding the time for this laser focus means being firm with items I’m saying “no” to for during this time. This button pin badge is from the Etsy shop, Colouryourlifeclub, “Colourful and fun gifts designed to make people smile”. With the pricing at $1.33 each, yes, you read that right, I’m seeing where I can order many and still have the shipping of $6.00 from the United Kingdom. Obviously, I’m ordering several with some PenPals in mind and it will be fun sharing them! 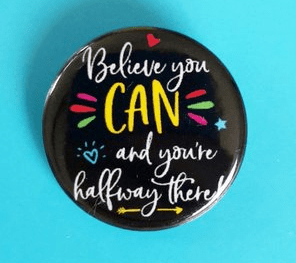 “… Give yourself or a friend a cute motivational reminder with this button badge! … Perfect badge to help motivate, inspire, encourage anyone who needs some self belief or a pick me up. *Measures 25mm in diameter and has a plastic safety pin back. *Comes complete with fun backing card. *All Colour Your Life Club Button Badges are designed and handmade by myself. (So if you purchase one then think of me doing lots of happy dancing as you are kindly supporting my little business). As we wrap up this morning, know I’m cheering for your goal setting! Here’s to a great week in front of us and the task of focusing on our to-do’s for realizing January goals! You may also enjoy AnchoredScraps Dry Cleaning Our Superhero Capes 3-18-2018, 2018 Letter Writing Goals & Organization 1-10-2018, and Approaching the halfway mark 6-22-2015.